1. ALWAYS take your camera with you. 2. 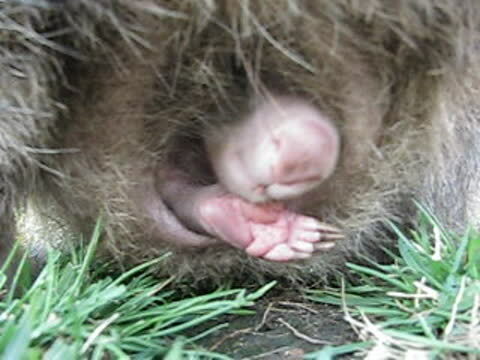 ALWAYS keep one foot on the ground when dealing with wombats! 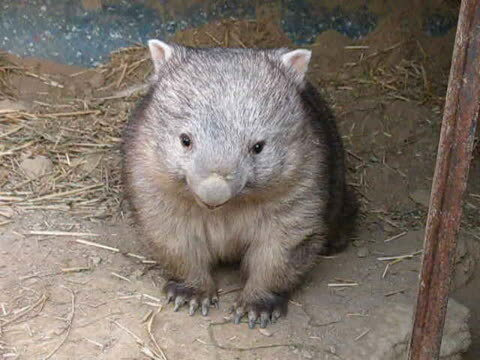 This is a selection of some of our wombat videos, which we have taken of the wombats during the time they were at the sanctuary for rehabilitation before being released back into the bush. Some of the wombats were pet wombats handed in to us to rehabilitate, some were orphans because their mothers were killed. 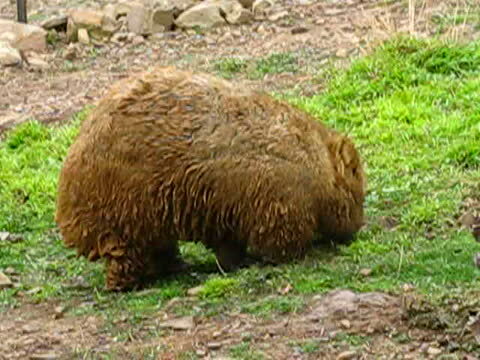 Some wombats don't mind the mud after rain. 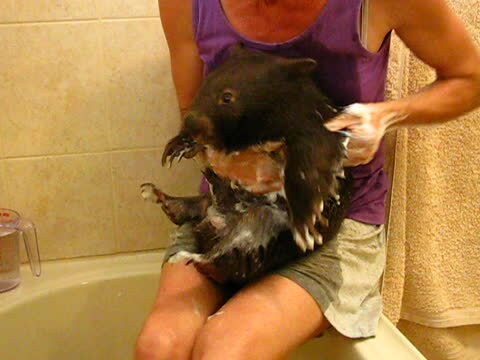 Sometimes we have to bath young wombats if they have a skin condition. You will be able to hear the sounds that wombats make, in particular Tag who is a young, very aggressive male who was released in 2013. 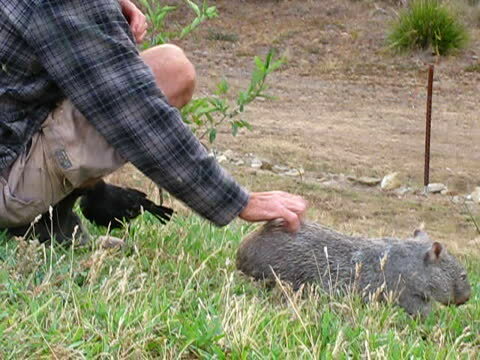 You will see young wombat Chance, who had such a cruel start to life thriving and meeting the mad white winged chough called Maggie (aka Bird) who refuses to leave Sleepy Burrows. VB in her mother Vegemite's pouch while Veg grazes. Veg came to Sleepy Burrows Wombat Sanctuary needing immediate surgery. While she was in surgery, we discovered she had a joey in her pouch, approximately 200g in size. Thankfully both survived and were released back into the bush, both mother and daughter.